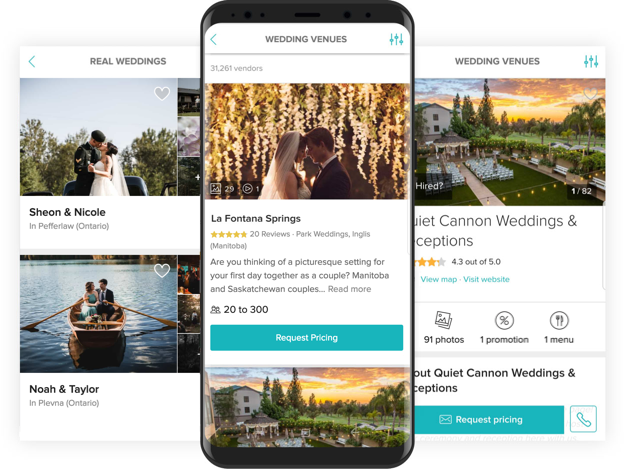 Access planning tools, vendors, inspiration and more on the WeddingWire app. All the tools you need in the palm of your hand. Check off to-do’s, manage your Guest List and more. Browse bridesmaid and wedding dresses to find your day of outfit. Ask questions and get answers from other engaged couples. Get the WeddingWire app to take all your planning, vendors, and inspiration with you wherever you go.